The Museum of the Bible is opening today (17 November) in a vast former warehouse near the National Mall in the US capital. Atop the brick hulk is a long glass structure resembling a Torah scroll, while the text of Genesis 1:1-31—the creation story—in Latin is carved on 40ft-high bronze gates framing the entrance. Spanning 430,000 sq. ft over eight floors, the building is only slightly smaller than the Vatican Museums. The $500m, privately funded museum is on a mission to tell the history of the Bible, with no government funding and no entry charge. (Timed-entry tickets are required and donations of $15 are suggested.) Its billionaire benefactor and chairman is Steve Green, the conservative evangelical founder of the craft supplies chain Hobby Lobby. He has acquired an estimated 40,000 biblical artefacts over the past decade, including thousands illegally obtained from the Middle East. Green is also a potent political force. In 2014, Hobby Lobby won a pivotal Supreme Court victory that exempted the firm on religious grounds from paying the contraception costs of its employees under the Affordable Care Act. At that time, the US Justice Department investigated Hobby Lobby for importing ancient Mesopotamian cuneiform fragments and bullae of Iraqi origin that were falsely labelled as Turkish tile samples and valued at $300. 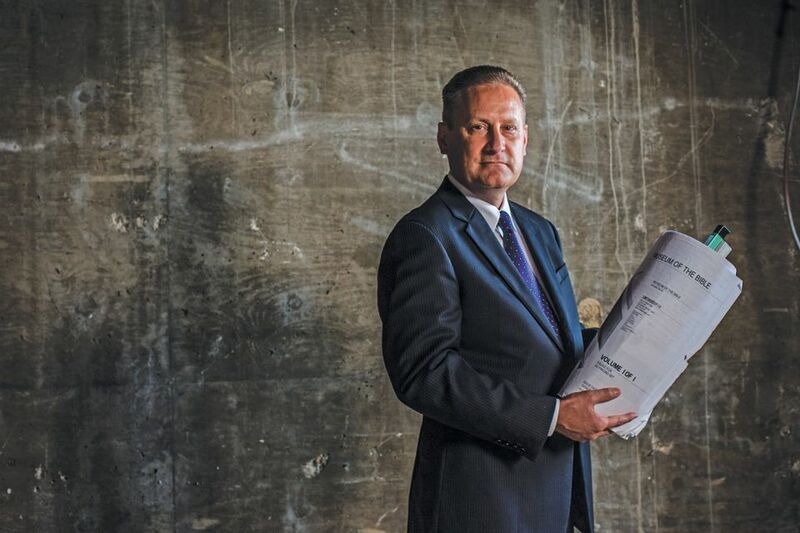 The firm settled in July, agreeing to forfeit thousands of objects and pay a $3m fine. Green’s lawyers said that he was a new collector and unschooled in US import rules; critics called the fine a token penalty. At a press conference last month, the museum’s president, Cary Summers, distanced the institution from Green’s ardent evangelicalism. He described the museum as “non-sectarian” and a “big umbrella”—unlikely slogans from an institution that previously requested “statements of faith” from staffers. “The museum will embrace many faith traditions that embrace the Bible as their own,” Summers said, promising “cultural and ecclesiastical diversity”. The museum’s displays will include figures who do not share Hobby Lobby’s conservative politics, such as Desmond Tutu and Dorothy Day, the leftist co-founder of the Catholic Worker Movement. With political correctness comes gentle persuasion. “Our purpose is to trick people into reading the Bible for the same reasons that they read Shakespeare—that it will be good for them,” says Gordon Campbell, a Renaissance studies scholar on the museum’s international advisory council. Meanwhile, the museum has hired the respected art lawyer Thomas Kline, of Cultural Heritage Partners, to scrutinise its acquisitions and provenance research. Kline, who often represents claimants seeking to recover looted and stolen artefacts, was not available to the press. “We have no desire to have a large collection, or to make aggressive acquisitions,” Summers stressed, in another departure from Green’s approach. At the press conference, Summers and the museum’s director of collections, David Trobisch, instead discussed scholarship on the Dead Sea Scrolls, Torah history and fakes. No mention was made of abortion or transgender rights. If scholarship is one of the museum’s defining features, so is Disney-style immersion. A sprawling third-floor gallery, The World of Jesus of Nazareth, recreates a stone-walled village in Galilee, complete with a synagogue, bowls of vegetables and the sounds of sheep. “In-character docents” will ease visitors into village life. The atmospheric kitsch echoes that of religious and historical parks around the US. But beyond the estimated 25% of Americans who identify as evangelical Christians, the museum also targets a secular audience. “The Bible is a cultural item that should be brought back to the public sphere,” Trobisch said. The New Testament scholar said the US separation of state and church “has led to a strange situation where you find very well educated people… who never in their lives had a chance to learn anything academic about the Bible. All they knew was from their faith communities”. 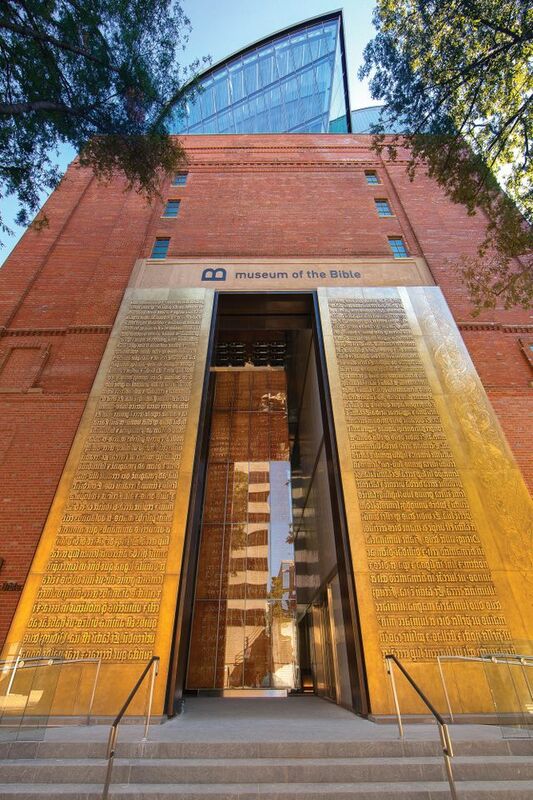 The Museum of the Bible faces a challenge. As it echoes the something-for-everyone nostrum of other institutions in a city with a glut of museums, will it attract visitors once the novelty wears off? Faith may yet prevail. Trobisch says the museum is already planning to expand to London and Berlin.